At varying paces nationally, payment models are shifting from fee-for-service to fee-for-value, including new models in which leading provider organizations take on the financial risk of providing health care to a pre-defined population. While many agree that value-based reimbursement will become increasingly common, fee-for-service contracts remain the dominant form of reimbursement in most markets. A recent poll found that 81 percent of health systems and hospitals are participating in a mix of value-based reimbursement models combined with fee-for-service.1 For the foreseeable future, hospitals, health systems and other large provider organizations will have a foot in two boats and the engines in both must be able to run efficiently. The pressure exerted on practices to grow, often through integration with additional practices or with larger health care systems, has been strong for years, and the trend shows no signs of abating. There are multiple reasons for this trend. 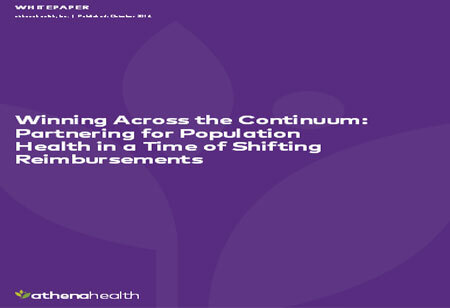 One is the desire for critical mass to gain leverage with payers in specific markets as payer reimbursement declines relative to increased cost. Another is the shift to quality-based reimbursement, risk contracts, and Accountable Care models—all of which require actuarial data and expertise in pricing insurance along with the infrastructure to handle population management. 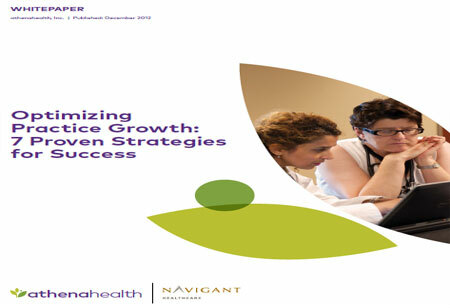 This position paper examines the changing operational and economic pressures on healthcare providers, their subsequent effect on the delivery of quality services, and the potential value to outsourcing support services to professional companies operating within the healthcare sector. The shift from tactical to strategic outsourcing is examined, along with the benefits of establishing systemic long-term, multi-service outsourcing relationships with a single service provider. A clean work area leads to better results contributing to a healthier environment. Cleaning imparts a significant effect to both the operator safety as well as minimizing the risk of cross-contamination. A Clean Balance for your laboratory is a first step towards safe and accurate weighing results. It also helps in providing an enhanced shelf-life to your instrument. Engaging into cleaning procedures, not only increases operating reliability, but also, reduces equipment failure rates. Find out more on balance cleaning through the Whitepaper below that will help in addressing your concerns: Are my equipments well cleaned, sterilized, decontaminated, or disinfected? Are you using the appropriate cleaning agent for your instrument? What are the standard balance cleaning procedures to be taken? White Paper: SHYFT Analytics, Inc.
Why Real World Evidence (RWE) is important to drive improvements in patient outcomes? 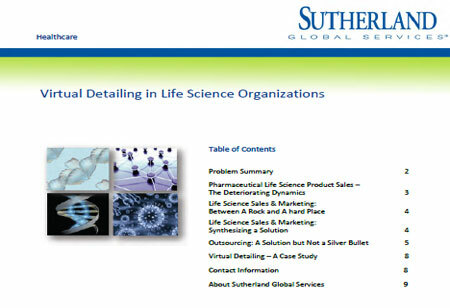 Real World Evidence (RWE) has long been heralded as a “game changer” for the life sciences industry. Real World Evidence is the term used to describe research findings that use data that is gathered outside of standard clinical trials. 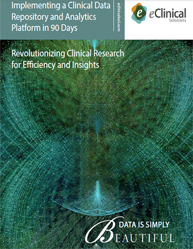 This informative whitepaper highlights the growth, importance and benefits of Real World Evidence data to the pharma industry.It addresses the questions such as: Why Real World Evidence (RWE) is an important driver of decision-making in healthcare? How does Real World Evidence analytics accelerate the Improved patient Journey and descision making ? What are some of the main challenges in establishing Real World Evidence programs? What are the ongoing data challenges and unrealized opportunities when it comes to Real World Evidence data? What are the steps taken by the organizations in order to standardize the collection and structure of Real World Evidence data? A user-friendly healthcare document management platform can save lot of time and money by improving patient care and satisfaction, also reducing the risk of damage and increasing collaboration. Implementing an Online Document Management System can help you manage medical records and patients' healthcare information cost effectively by eliminating human auditing error. Does your healthcare organization need a document management service compatible with multiple platforms and devices? For an informed decision when choosing the right user friendly document management platform that can increase workflow efficiency, you should know: What type of Document Management System does your healthcare organization need? What types of documents do you want to store in the Medical Document Management System you have chosen? What are the benefits of using Document Management System in healthcare? How can Online Document Management System generate a significant return on investment for your healthcare organization? 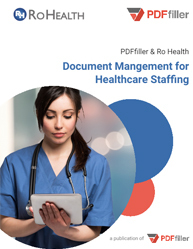 This whitepaper on healthcare document management outlines a case study on flexibility and integrated approach to maintain accurate payroll records document management. National Evaluation System for Medical Devices has been built using real-world evidence to improve device safety and effectiveness. The establishment of a National Evaluation System for Medical Devices generates evidence across the total product lifecycle of medical devices by strategically and systematically leveraging real-world evidence and applying advanced analytics. This whitepaper provides insights to organizations in order to meet regulatory compliance requirements while managing cost vs. patient outcomes through this National Evaluation System. Key takeaways from this white paper on “National Evaluation System for Medical Devices: Compliance & Regularity”: What is the need of upcoming FDA strategic initiatives? 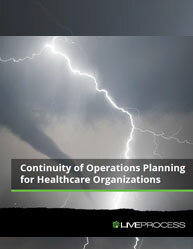 How medical device companies plan and respond to the changing climate? 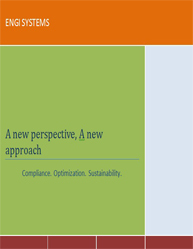 How they can help improve compliance, optimization and sustainability? What are the highlights of the National Evaluation System’s strategic priorities plan? Mark your calendars for building the National Evaluation System for medical devices!! What is the need of having a Clinical Data Repository and Analytics solution? Well, implementing a Clinical Data Repository (CDR) within a meaningful timeframe and a reasonable budget does not have to be a major IT initiative. 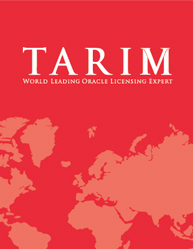 With the right technology partner, a CDR can be implemented in 90 days. The capabilities are growing quickly and robust CDRs are available that allow companies to reap considerable value from clinical trial data. 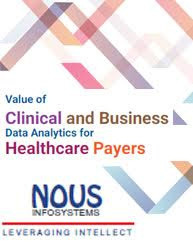 This informative whitepaper talks about the desired functionality of the platform, and demonstrates the best practices for implementing a CDR while heeding to queries like: How to maximize and utilize all clinical and operational data for real-time healthcare analytics? What are the critical components in successfully implementing the CDR platform? What are the technology benefits of implementing a next generation CDR? Colorectal cancer screening and early detection of colorectal cancer not only saves lives; it also saves money and resources-both for patients and providers. Screening rates are low and many barriers are present that need to be overcome in order to make a major global impact on colorectal cancer incidence and mortality. So how does screening prevent colorectal cancer and how can screening rates be increased through awareness? This whitepaper enlists the: -Risk factors for colorectal cancer and key strategies that employers and hospitals can adopt to close the colorectal screening gap by 2018 -Guidelines to colorectal cancer screening for integrated healthcare systems -How health plans, hospitals and employers can leverage the National Colorectal Cancer Roundtable’s pledge to increase screening compliance and save lives -Steps for increasing the colorectal screening rates Agree to pledge? *80% by 2018 is a movement in which hundreds of organizations have committed to eliminating colorectal cancer as a major public health problem and are working toward the shared goal of reaching 80% screened for colorectal cancer by 2018. Medical predictive analytics has the potential to revolutionize healthcare around the world. Predictive Analytics can help organizations to increase the accuracy of diagnoses and reduce the health care costs. 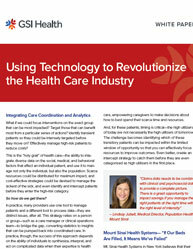 Do you know how predictive analytics is directly impacting patient care and health care costs? 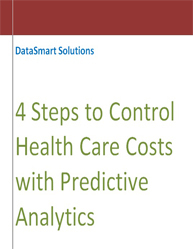 What is the scope to save health care costs with Medical Predictive Analytics? How can predictive analytics be used to help control health care costs along with improving patient care ? Read this whitepaper to learn how self-funded employers use predictive analytics to save and control their health care costs. It also includes: A Case study: Predictive Analytics Applied to a 100-Employee Company. Security and Compliance has now become vital components for healthcare industry as it is in the midst of a perfect storm of change driven by healthcare security trends. To verify the deployment and ongoing maintenance of healthcare security and processes, security audits are mandatory for the healthcare industry. 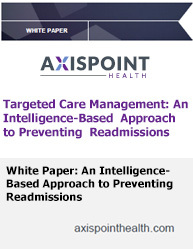 Download this whitepaper to know more about how the healthcare organizations are evaluating security efforts and adhering to healthcare security compliance regulations. Gain insight on: Current cyber security threat & compliance landscape for healthcare industry Avoiding greatest vulnerabilities of healthcare data security while adhering to healthcare security compliance regulations Complying with healthcare regulations while driving business forward What can be done to keep a healthcare organization safe from security threats? Addressing Security for compliance in healthcare industry Read this whitepaper that describes how smaller healthcare organizations can reach the healthcare security and compliance objectives by gaining a deeper understanding of the cyber security regulatory landscape.